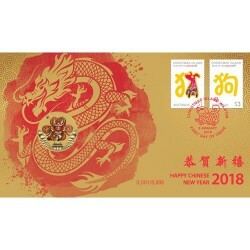 2019 $1 Happy Chinese New Year Coin & Stamp Cover PNC. 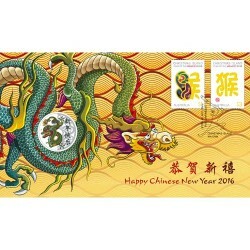 The Perth Mint along with Australia Post have released this latest Chinese New Year Coin & Stamp Cover. 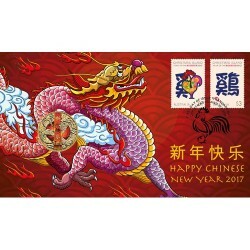 Chinese New Year is one of the most important celebrations and holidays for Chinese people. 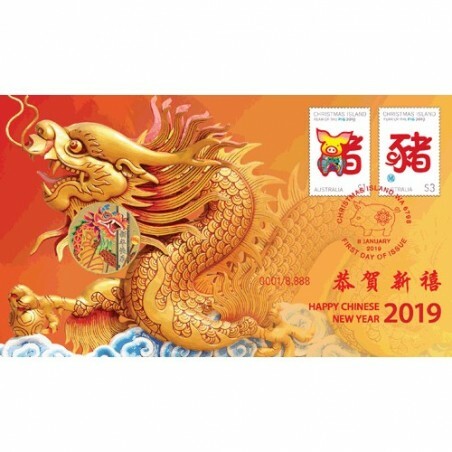 The festival is a time for families to reunite, to honor household and heavenly deities, as well as ancestors, and remains the most important social and economic holiday in China. 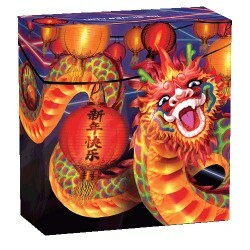 The dragon is a well-recognised symbol of Chinese culture believed to bring good luck. It is also considered to be a symbol of power, strength, wealth and good fortune./ Chinese knots have been used for centuries as good luck charms, with different types of knots conveying different messages. 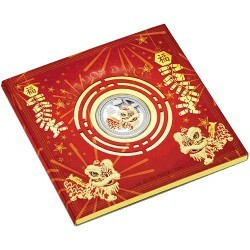 Issued as Tuvalu legal tender, the uncirculated aluminium bronze coin is housed in a beautifully designed card with a circular window revealing the coin's reverse and obverse designs. 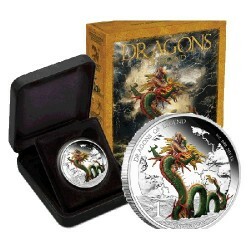 The coin's reverse features a dragon with a depiction of the flaming pearl. 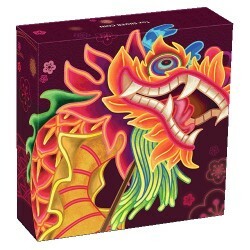 Dragons are often portrayed pursuing this metaphor for wisdom and enlightenment in fine art, and the imagery is recreated in the popular Chinese New Year dragon dances. 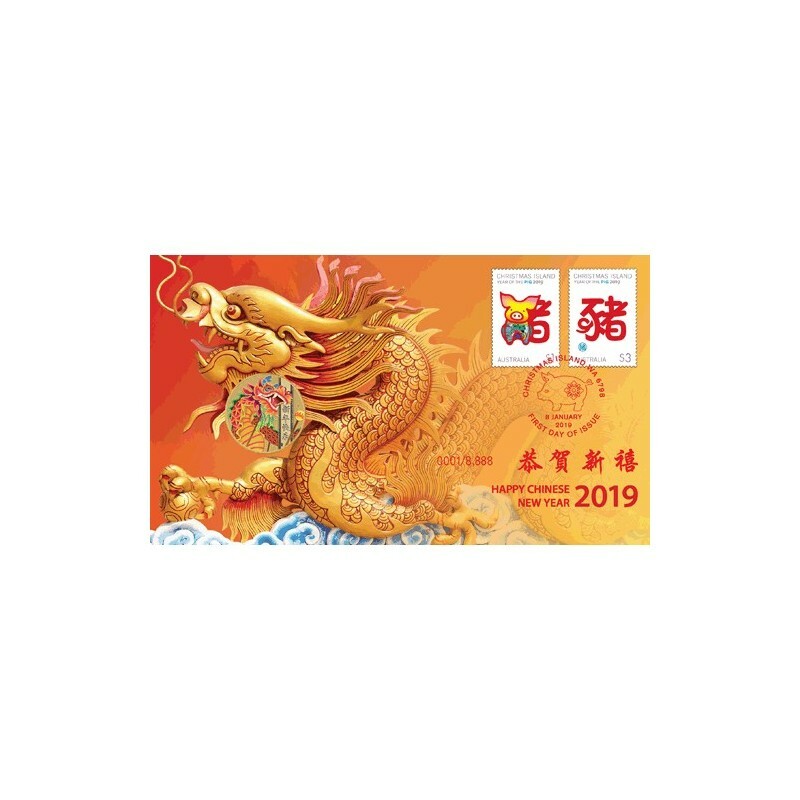 These colorful and energetic performances, traditional representations of welcoming good fortune into a community, often include a performer holding a rod with a colored sphere representing the pearl, which is 'chased' by the dragon. 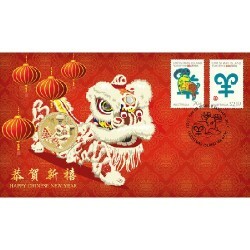 The design also includes the Chinese characters for "Happy New Year'. The design also includes The Perth Mint's 'P' Mintmark. The coin's obverse features the Ian Rank-Broadley effigy of Her Majesty Queen Elizabeth II, the 2019 year-date and the monetary denomination. 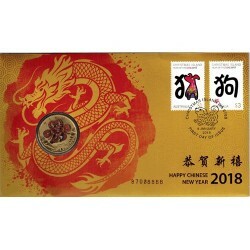 Fixed to the envelope is an official Australia Post $3.00 $1 stamp which is post marked First Day of Issue and the envelope includes Australia Post's Seal of Authenticity.